If these things are considered, the result should be a power recliner that’s just right. In this guide, we will discuss the number of different choices that might be perfect for your need. Let’s start by looking at the top rated power lift recliner brands on the market. The following is our reviews of the best power recliners for big, tall & short people. 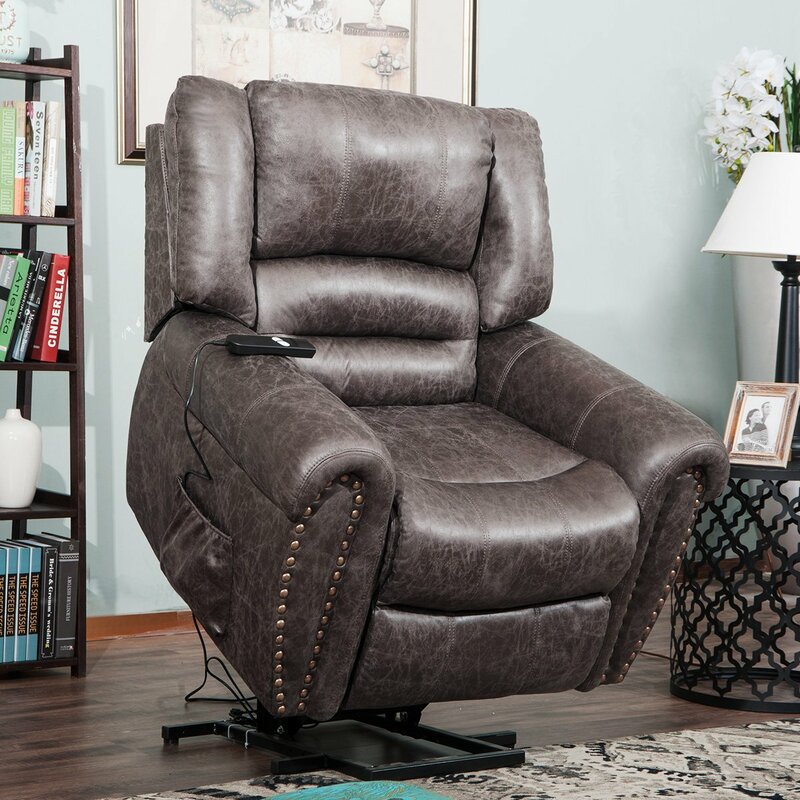 This is Yandel power lift recliner by Ashley Furniture Signature Design. The Yandel is a sturdy 120lb chair. It measures 35” across and 40” deep, and when fully reclined has a length of 5’9”. the seat is 19” wide. It’s finished in leather effect polyester, with fairly firm cushions and padding. The power cord is 7’ long, and the recliner is controlled by a wired remote. It is rated at supporting 300lb and has a dual motor. It has a metal reinforced seat. The Yandel is a lifter chair. It has an emergency battery, so if there’s a power outage the chair can move back to lifting position. The upholstery looks like leather from a distance, but as it’s actually polyester it has the advantages of a fabric covering. The dual motor mechanism means that the back and footrest can be moved separately from each other. The remote control has six functions to do this. When fully reclined, the chair is not completely flat, as the footrest is not quite horizontal. The Ashley needs 16” behind it for full reclining. Some customers find the cushions are a little too firm. The CANMOV has a bonded leather covering and is rated at 300lb. It’s a few inches wider than the Ashley at 37.8” wide, but not as deep. The seat is 22” across, and 19” from the floor. The recline functions are controlled by buttons built into the side of the chair. Fully reclined it is 4’7.5” long, and the whole chair weighs 92.4lb. The CANMOV has a wooden frame. The button housing includes a USB charger, and the recliner has two cup holders. 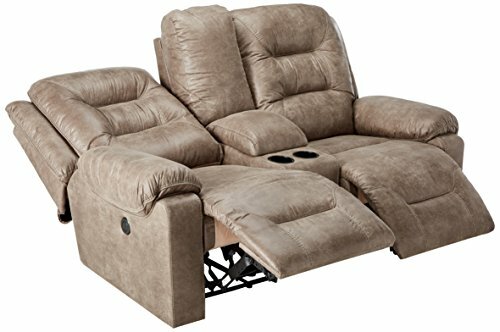 It is a “wall hugger” recliner and only needs 5.9” clearance behind it. There is a single motor mechanism, so there are only two buttons. The footrest does not drop with the motor and needs to be pushed back down with the legs. The bonded leather upholstery can feel sticky or be prone to sliding. The CANMOV is not a lifting chair. The Lifestyle is upholstered with microfiber fabric. It is 39” across and 40.5” deep. The recline functions are controlled with two buttons on the side. The recliner weighs 77lb, and it is rated at 250lb. However, the manufacturer states that this rating is for the cushions and springs, and the chair itself can actually handle much more. The seat itself is 22” across, and about 20” from the floor. The control buttons are shaped like two halves of a circle, so it’s easy to tell by touch which button is which. There is a USB port slotted between the two buttons. As a “wall hugger” recliner it only needs 6” clearance from the wall. 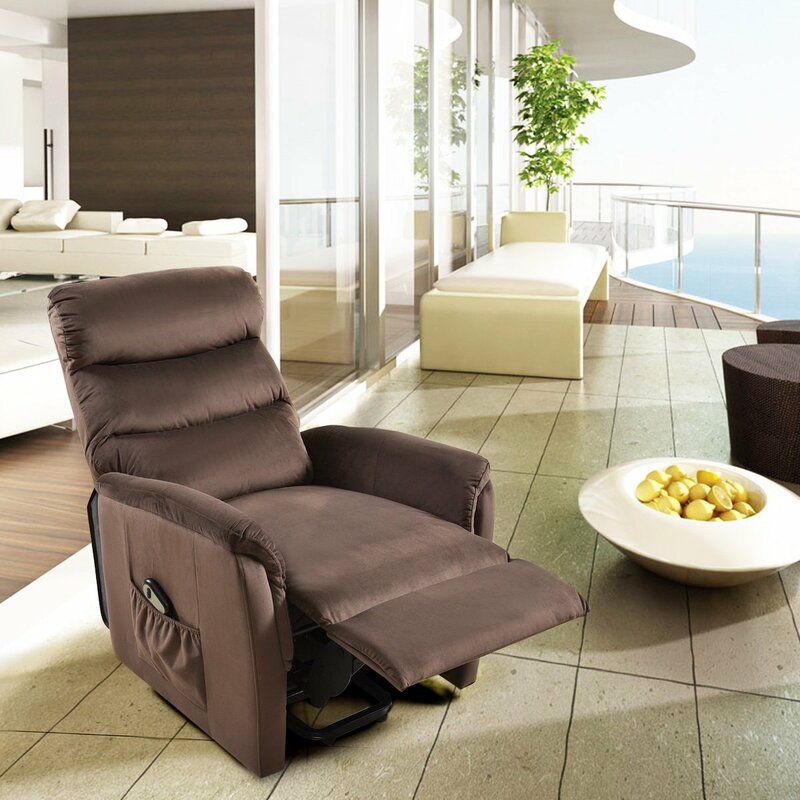 The Lifestyle recliner only has a single motor mechanism. It does not have a lift capability. 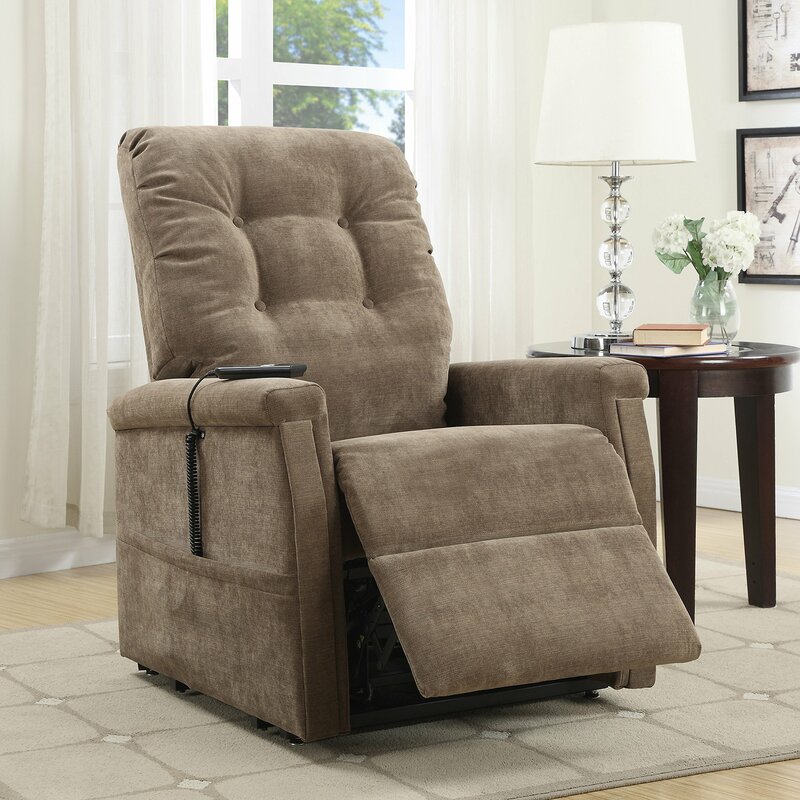 This power recliner is finished in polyester chenille, with soft padding. It has a wired remote to control the recline function and a side pocket. It measures 39” by 37” and has a rating of 350lb. It weighs 114lb and the frame is made from birch wood. The seat is 22” wide and 20” high. The Coaster is a “wall hugger” recliner and only needs 3.15” clearance from the wall behind it. It is a lifting recliner. It has a 6’ power cord. There is an emergency battery feature for exiting the chair during a power outage. The Coaster does not recline completely flat. It has a single motor mechanism, so the back and footrest can’t be adjusted separately. 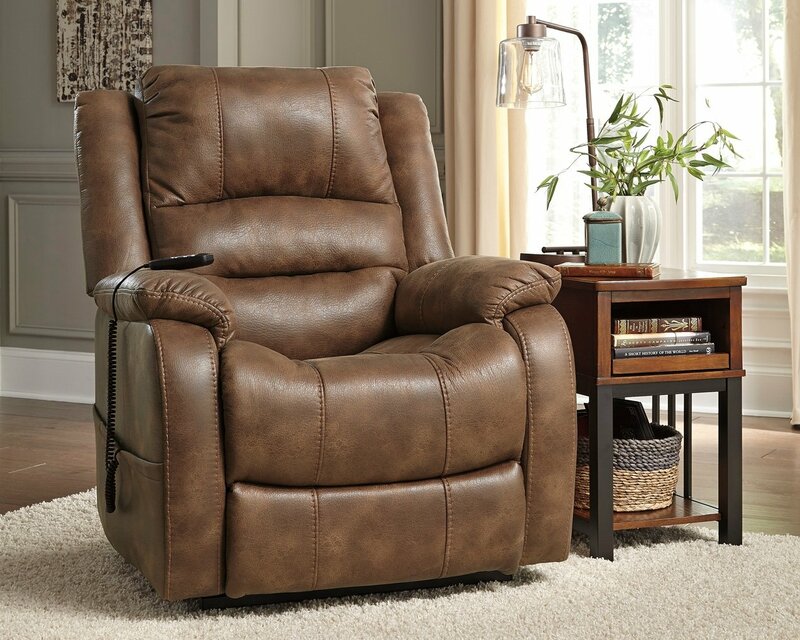 The Harper & Bright Heavy Duty Recliner is rated to 330lb. It’s 41” across and 40” deep, and weighs 102lb. The recliner is controlled by a wired remote, which stows in the side pocket. It has a faux leather finish and has a steel frame. The seat width is 22”. It is a lifting chair. It has double padding in specific areas, including the head, lumbar area, and seat. The faux leather is easier to maintain than ordinary leather. The Harper & Bright reclines almost completely flat, which is ideal for sleeping in the chair. This recliner has a single motor mechanism. The chair needs up to 24” clearance to recline fully. It has no emergency battery feature. Faux leather can be less long-lasting than leather, and as it doesn’t breathe, sweating can be an issue. 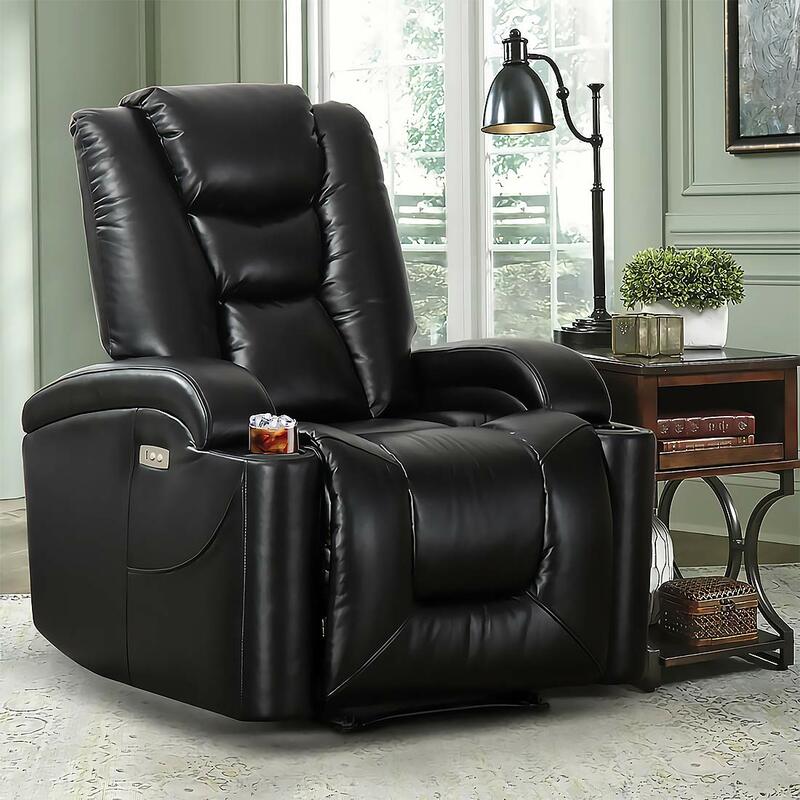 The Magic Union recliner is finished in PU leather. It’s 34” across and 34” deep. It’s of wooden construction and has a rating of 350lb. The padding is very firm. The seat is 22” wide, and 19” from the floor. There are two remotes, one for the recline function, and one for the massage function. The Magic Union has a vibrating massage feature, which has four focus areas including back and legs. This includes a heating feature for the lumbar area. This recliner is also a lift chair, and it has two cup holders. The back only reclines to around 130 degrees,. There is no emergency battery feature. The manufacturer recommends 17”-20” clearance at the back for reclining. PU leather doesn’t breathe, and as such can be prone to sweating or slipping. 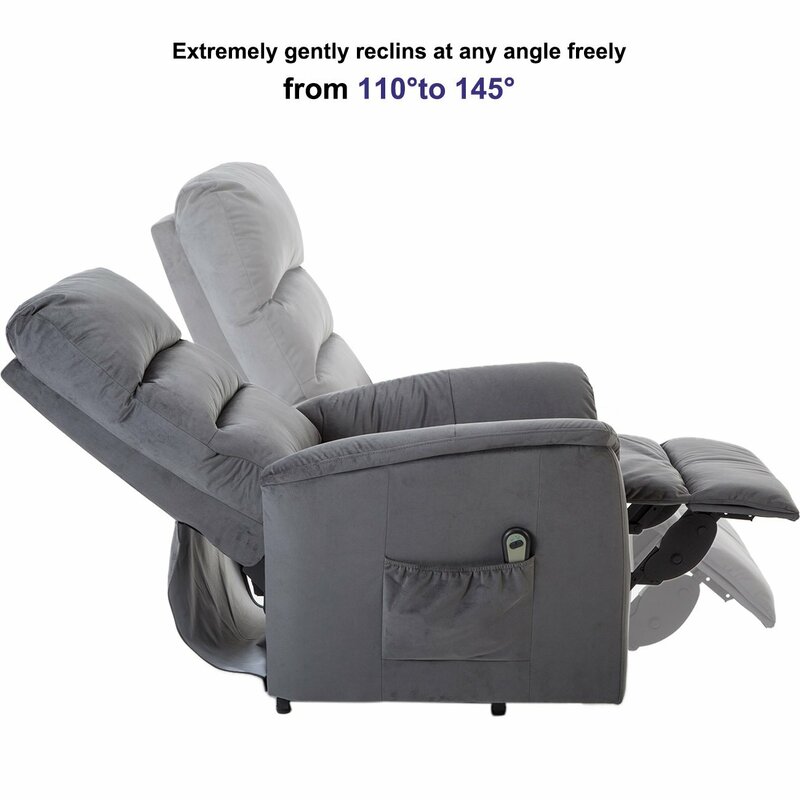 The BONZY recliner has a small footprint, only 31”wide and 36” deep. This is due to the narrow armrests, but they are padded. The seat is 20” from the floor, and 20” across. It has a wired remote to control reclining, which stows in the side pocket. When fully extended, the recliner is 5’5.5” long. It has a rating of 330lb and is upholstered in velvet. The BONZY recliner is a lift chair. The upholstery is easy to clean and maintain. The narrow profile is a potential space saver. There is only a single motor mechanism on the BONZY. The BONZY needs 18” clearance from the wall, and the armrests are fairly narrow. 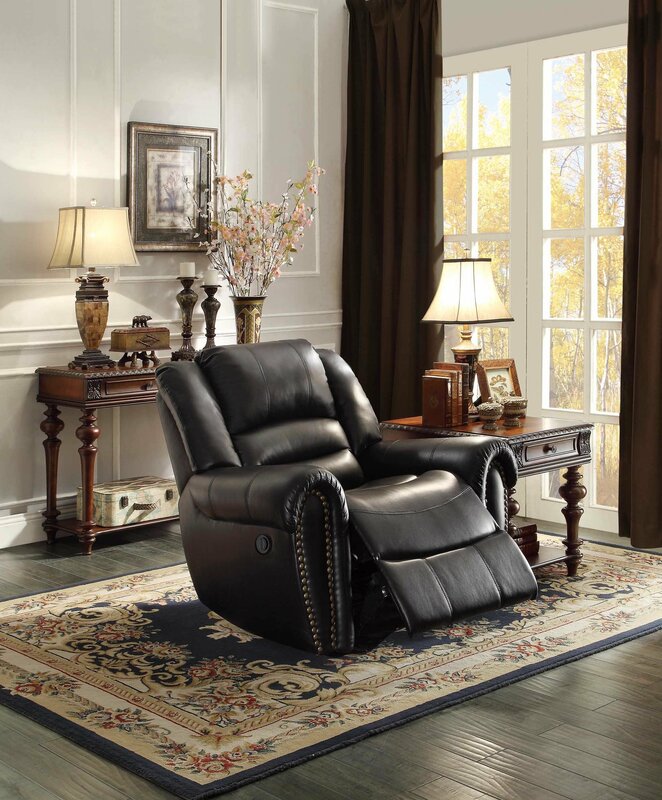 The Homelegance power recliner is upholstered with bonded leather. It is 42” across and 38.5” deep. It has a steel frame and the recline features are controlled with two buttons on the side of the chair. The seat is 20.5” across, and 20.5” above the floor. The recliner weighs 106lb. This recliner extends almost flat. The buttons are halves of a circle, so it’s easier to tell between the two. 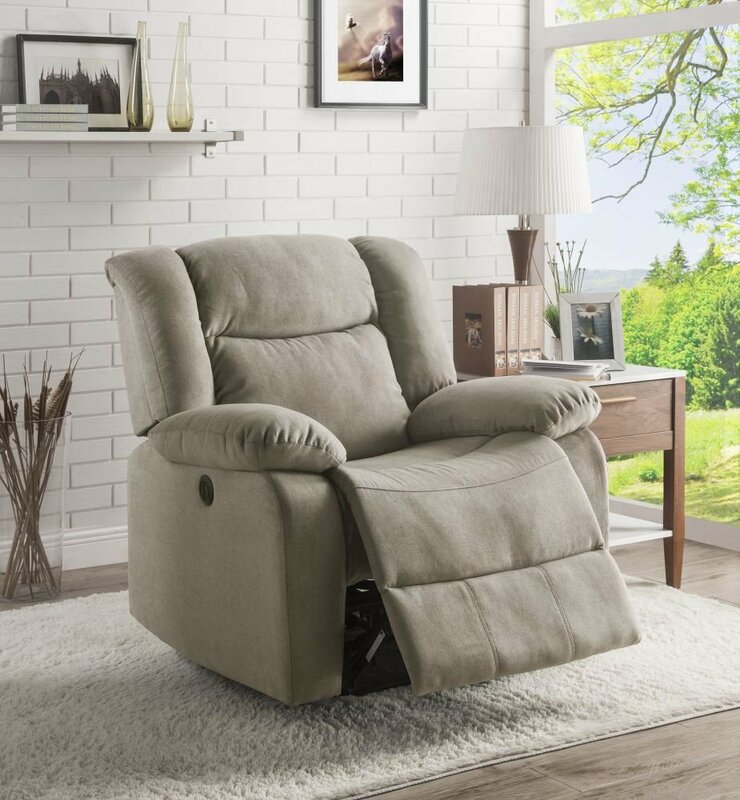 Homelegance offers the same style for different types of power recliner, including loveseat and sofa, in addition to manual versions of each. This recliner needs to be placed 18” from the wall to recline fully. It doesn’t have an emergency battery, and only a single motor mechanism, which is why it only has two control buttons. The Pulaski is available in beige or brown microfiber fabric. It has a plywood frame with a steel mechanism and weighs 108lb. The footprint of this recliner is fairly small, at 37.8” deep and 31.5” across. The seat is 20” across and about 17” from the ground. It’s rated at 300lb and has a wired remote. This is a lift chair, and it includes the safeguard of the battery backup. The microfiber fabric is easy to keep clean. The recliner needs a clearance of 18” from the wall. It only has a single motor mechanism. The Giantex is available in brown fabric or PU leather, in brown or red-brown. It uses a wired remote, which stows in the side pocket. It has a 330lb rating for reclining. The chair itself weighs about 89lb. It’s 31” wide, and the seat is 20.5” by 19.5”. The seat is 18.9” from the floor. The recliner has a lift, although the rating for this feature is only 220lb, lower than the recline rating. There is a storage pocket on the side. There is no battery feature. A clearance of 16” is needed to fully recline. This is another chair with narrow armrests, although it does mean that the recliner takes up less room. While manual recliners have many varieties, they all have the same drawbacks. For a start, they need strength and effort to adjust. Some have a backrest which needs to be leaned hard against to recline, others need pressure on the footrest to move it back to a sitting position. A power recliner uses electricity to provide that effort, so only the press of a button is needed. It’s much more convenient. A manual recliner will usually have a limited number of set positions available, which click into place. The mechanism of a power recliner allows constant movement, and when the button is released it stops where it is. Because of this, there are effectively hundreds of positions available. Naturally, this means the power will need to come from somewhere. The typical power recliner has a built-in power cord, so a chair will need to be placed near a wall or outlet. There are recliners available which run on entirely on a built-in battery. These are recommended for free-standing in the middle of a room, but they still need to be charged from time to time. A power recliner also tends to differ from a manual in the way the back and footrest move. With most manual recliners, the head and footrest move into position at the same time, using a lever or releasing a catch and leaning. The power recliner’s back and footrest move independently. A single motor mechanism generally raises the footrest first, and then reclines the back, so the occupant can sit upright with their legs raised. A dual motor mechanism allows the back or footrest to be moved separately. 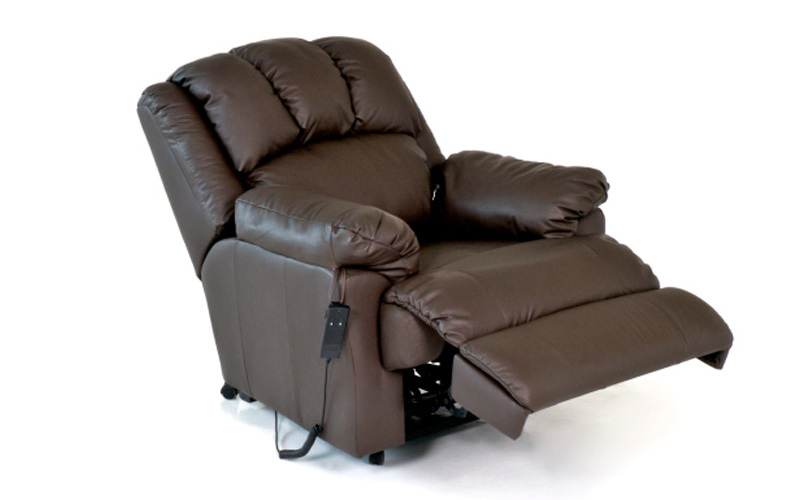 Compared to a manual recliner, a power recliner always changes positions fairly slowly. This varies from chair to chair and can be anywhere from 30 seconds to a minute or so. 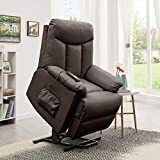 This can be an advantage, as it puts less physical strain on the person using it, but on the other hand, it’s not easy to get out of the recliner quickly. Power recliners aren’t limited in type these days. Now there are different options. The power recliner chair is the most recognizable of these. Designed for one person, they tend to take up a lot of room for a lone chair. 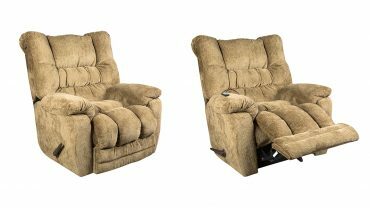 The power recliner loveseat has two seats, each of which moves independently. Traditionally, love seats were built for couples who wanted to sit together, but some modern ones have raised surfaces in between, and may have cup holders or room for magazines and so on. Loveseats tend to be an option for those who want two recliners but need to save space. 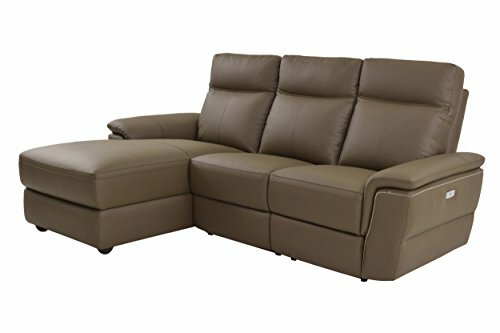 The power recliner sofa is typically a three-seater, although when not reclined more people might be able to squeeze on. The center seat generally stays still, and the two side seats recline. This can be a versatile option instead of a couple of recliners and sofa. 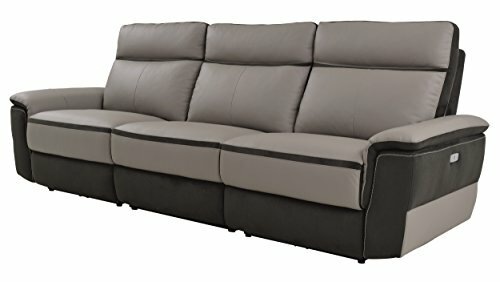 The power recliner sectional is a combination of recliners and other sofa sections connected together, so it can be easily customized and positioned around the corners of a room. This is most like regular furniture, but with the advantages of a recliner. Recliners also have different functions, whether it’s a massage option, or the ability to lift up. Some behave like a rocking chair, and some lay completely flat for sleeping. Body size is an important factor when looking at recliners, as they vary in size. Some are referred to as “big man” recliners because they’re designed for taller and heavier people. These sit higher above the floor, and the longer footrest is suited for longer legs. Shorter people might find one of these bigger chairs uncomfortable and would be better to go for a smaller recliner. A popular rule of thumb for someone choosing a recliner is whether their feet comfortably reach the floor when sitting. It’s also worth remembering that a recliner is usually designed for someone reclining to have their feet hanging over the edge of the footrest. Who is The Recliner for? It also depends who’s using it. 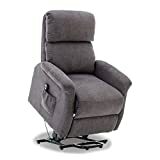 If the recliner is for someone’s “man cave”, it will probably only need to recline, but one for the elderly or those with health issues, one that lifts may be needed. Some chairs are stronger than others, so it’s useful to know the recliner’s weight rating. 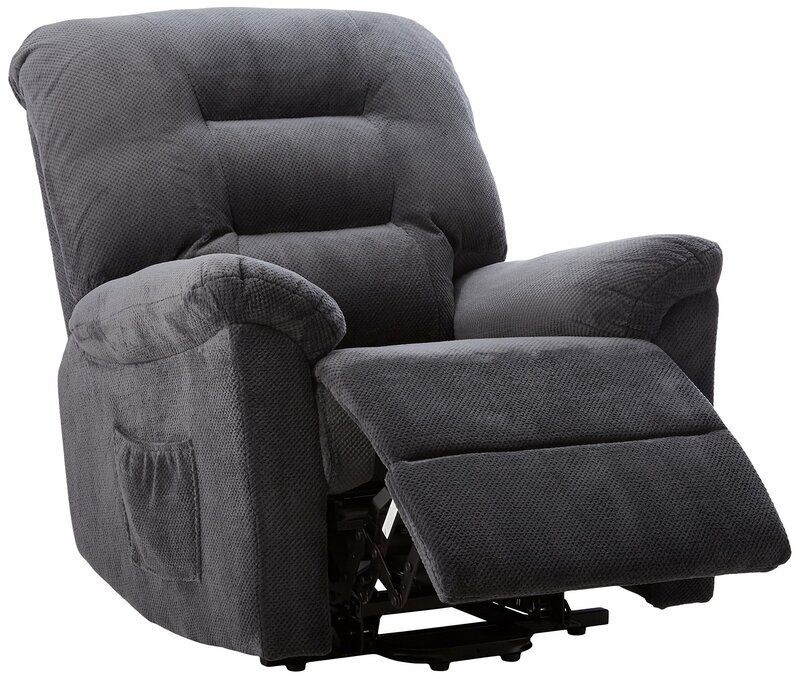 Some lifter recliners have two weight specifications, one for reclining and one for lifting. The weight rating is an indicator of how much weight has been approved by the manufacturer. Some may support people heavier than this limit, but it’s not recommended, and there’s no way of knowing how much more. Some people need to be able to sleep in their recliner. Some recliners are better suited to this than others, depending on how flat the recliner can extend. Although there is little risk of a recliner interfering with a pacemaker, the best bet is to consult a physician before using one. It depends on the size of the room the recliner is needed for, as a fully reclined chair will take up quite a lot of floor space. A smaller chair may have fewer features but will take up less room. Chairs have different length power cords too, so distance from the power outlets is worth thinking about. There are some recliners called “wall huggers” because the seat moves forward as the back lowers. These can be positioned a few inches from the wall, unlike a regular recliner, which could need up to two feet of space behind it. Much like ordinary furniture, there are many different fabrics for recliners. Some are available in genuine leather, which can be more difficult to maintain, but which is durable and long lasting. Usually, they come in faux leather – PU leather, made from polyurethane, or bonded leather, which is a mix of polyurethane and leather scraps. These are less hard-wearing, but easier to keep clean, and unlikely to be stained. Recliners can come in other fabrics like microfiber or velvet. These can be more comfortable for people who may slip, or sweat from contact with leather or plastic upholstery. There are usually different features to consider. Some recliners are available with cup holders, some have side pockets. An emergency battery feature is particularly useful for someone who might struggle to get out of the chair if the power goes out. In this case, the battery has enough power to move the recliner to the lifted position. However, it’s not a replacement for mains power. Some recliners also have an adjustable headrest. If someone is reclining whilst watching TV, their head can be tilted up, to put less strain on the neck. There are also medical options available, such as lifter chairs or massage chairs. A lifter chair will lift and tilt the chair forward to make it possible to step out of. This is very useful for someone who struggles to stand up from a regular chair. A massage chair will usually vibrate to massage the muscles. 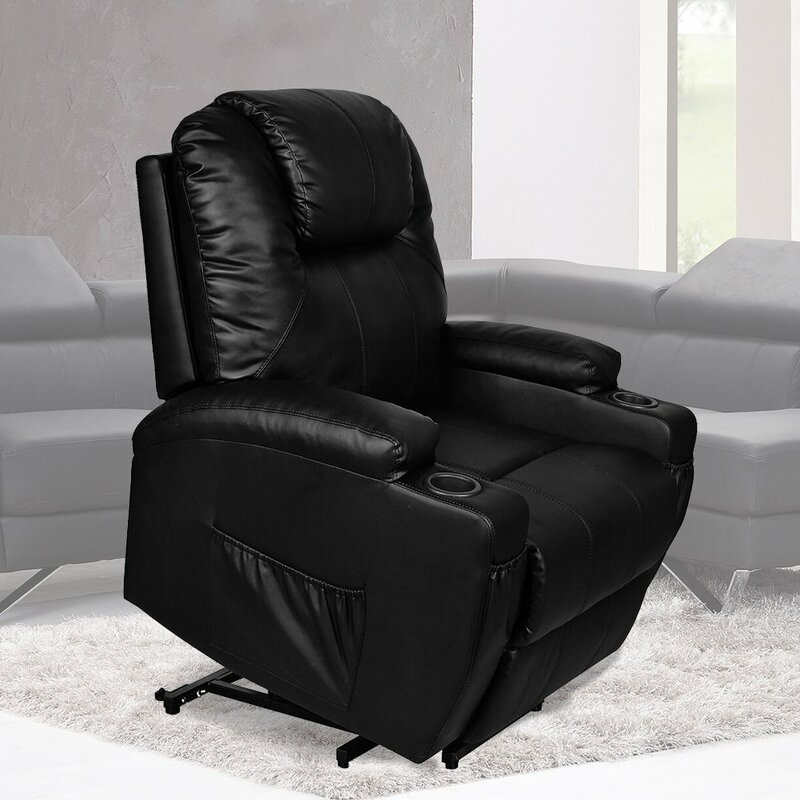 A power recliner usually arrives in large sections, which are fairly easy to assemble. Most single chairs have a separate back which must be attached before use, although this tends to be a case of sliding it into position. 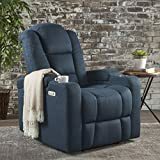 Although it’s not necessarily that difficult, if the recliner is for someone with mobility issues, it’s worth looking at delivery options. Many companies offer home setup, or white glove service, at an extra cost. 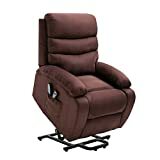 If a recliner does not include an emergency battery, a power outage could leave its occupant stuck in a useless chair. However, that doesn’t mean that a chair has to have one. There are uninterruptible power supplies (UPS) available to buy separately, which are basically big batteries which constantly charge from mains power. If there is a power outage, the UPS still keeps electric items working, as long as the battery lasts. 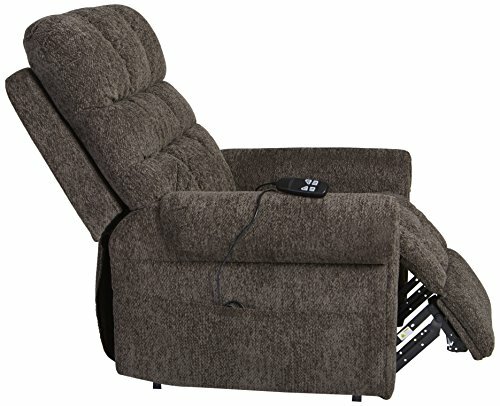 They were originally invented for use with computers, but now they are used in many more home situations, including for power recliners. 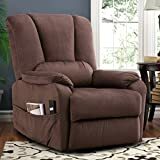 There are many different brands of power recliner available, and each offers something different. The Ashley Power Recliner is the best all-rounder in the list, in terms of value for money and features. However, the other chairs in the top ten have their own individual strengths. Some of the chairs also have other models in that range, with different sets of features.